ANKARA, Oct. 23 (Xinhua) -- Turkish President Recep Tayyip Erdogan said Tuesday that missing Saudi journalist Jamal Khashoggi was the victim of a premeditated "brutal murder," while demanding that the Saudi suspects be tried in Turkey. "Whitewashing such barbarity will of course injure and wound the conscience of all humanity," the Turkish leader said in a much-anticipated speech to the lawmakers in Ankara. Detailing the events that both led up to and followed the 59-year-old Khashoggi's disappearance after entering the Saudi consulate in Istanbul on Oct. 2, Erdogan said there were strong signs that "the incident was not a momentary issue or a momentary result of something that happened on site, but the result of a planned operation." Erdogan confirmed that a body double of the slain journalist was used as a decoy after what he called a "political assassination." He also asked about the whereabouts of the body of Khashoggi, a columnist for the U.S. newspaper The Washington Post and a strong critic of the Saudi government. The Turkish president made no mention of any audio or video recordings reported by Turkish media in the days following the writer's disappearance, containing reportedly gruesome details of his killing and possible dismembering of his body by a Saudi hit squad. 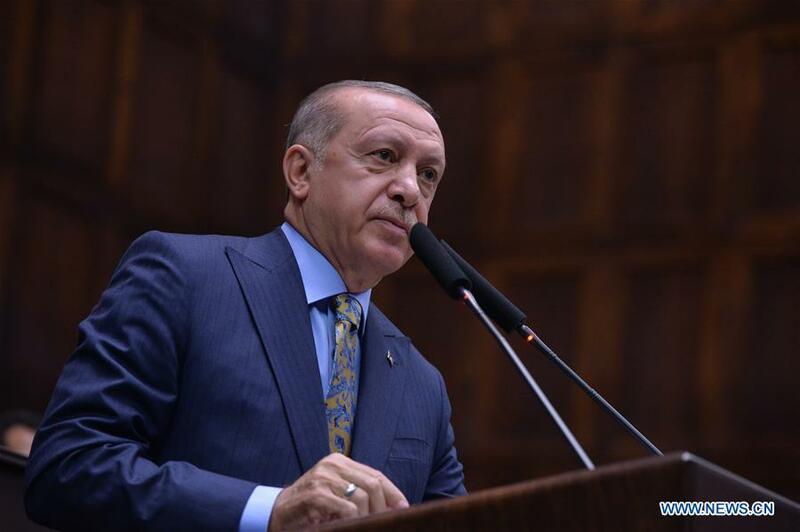 Erdogan said that prior to the journalist's killing, a number of individuals had visited the nearby city of Yalova and the Belgrad Forest in Istanbul where searches for Khashoggi's body have been conducted. Erdogan said that the CCTV hard disk had also been removed from the Saudi consulate prior to Khashoggi's visit on Oct. 2. The Turkish leader called on the Saudi leadership to allow the suspects detained in this case to be tried in Istanbul. Saudi government has arrested 18 suspects related to the case. Erdogan also called for an independent committee to be set up to look into the case, adding that he was confident about Saudi King Salman's sincerely and full cooperation. He, however, did not mention Saudi Crown Prince Mohammed bin Salman, widely seen as the most powerful figure in the oil-rich kingdom. "Everyone involved in this murder, from juniors to seniors, from bottom to the top must be brought to justice," Erdogan insisted, adding that "everyone, including the accomplices in foreign territories must be held accountable." Saudi Arabia has confirmed the death of Khashoggi inside its consulate, saying he was killed as the result of a "fistfight" and "chokehold." Khashoggi entered the Saudi consulate on Oct. 2. to collect documents for his upcoming marriage to his Turkish fiancee. He has not been seen since. After releasing the results of its initial investigations, the Saudi Public Prosecution announced that 18 people were arrested over their alleged connection to the killing of Khashoggi. U.S. President Donald Trump sent Central Intelligence Agency Director Gina Haspel to Turkey on Monday. She was expected to meet with Turkish officials on Tuesday amid skepticism from Washington about the investigation results released by the Saudi government whose officials have made contradictory statements on the case. "I an not satisfied with what I heard," Trump told reporters at the White House Monday afternoon. Erdogan's address coincided with the start of the Future Investment Initiative conference in Riyadh on Tuesday, which has been overshadowed by the Khashoggi case, with dozens of government and business leaders pulling out.